If you want to write strong, believable dialog, then it pays to take time to train your ear, in addition to reading great dialog, attend plays, read good plays and screenplays, go see classic movies and all kinds of concerts. Yep, music. The other benefit is to create an awareness for the reader of your character’s environment. Where are they from? What do they hear on a regular basis, what would be unusual in their environment? A fun exercise is to take a piece of conversation overheard in a restaurant, airport, coffeehouse, etc. and build a short story around it. Write two versions: one with the conversation at the beginning and the other with it at the end. Next exercise: go to a few different environments – a park, a museum, a parking lot, inside, outside – and make a list of all the sounds you can identify. Are you including this dimension in your writing? Pay attention to what your characters can and cannot hear, what they listen to, if they listen at all, and what kind of music is in their environment. What is the sound they long to hear? The voice of an old love? Or is it water and if so, what kind? Are they deaf or hard of hearing? Why? Born that way, was there an accident or illness? Do not skip this step: read the dialog you’ve written aloud. You will catch things you don’t see on the page. If dialog is a challenge for you, then read it into a recorder and play it back to hear if it’s natural or not. Get a critique. In addition to a good story well told, we are all looking for art that helps us see an aspect of our world in a new way. 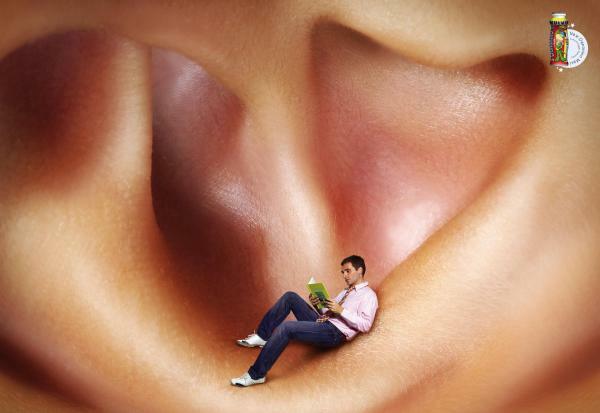 These are a few suggestions on how to use your ears as a way into deepening your characters and giving your reader a world they can lose themselves in. Keep writing!